Set aside plenty of time for your visit to Dablon Vineyard’s tasting room during your wine tasting tour of Michigan. Because once you step inside the stunning space and take in the vineyard views, you won’t want to leave! The style and design encourage guests to unwind, socialize, and linger. Whether gathered around the cozy fireplace, hanging at the bar or sharing a table with friends. Recalling my first visit, I couldn’t get over the beauty of the space! It was a snowy winter day, and it was a welcome escape from the cold. The view of the winter wonderland through the many windows inside the gorgeous space gave my friends and I the feeling that we were at a ski resort. The Baroda, Michigan vineyard and tasting room sits in the middle of Southwest Michigan Wine Country and is only a 1 1/2 hour drive from Chicago. The vineyard provides entertainment every weekend with live music or films from Music Box Theatre to enjoy with your wine. Fun fact: The owner of Dablon Vineyard, William Schopf, is also the owner of the Music Box Theatre, one of Chicago’s oldest theatres built in1929. The land the vineyard sits on was once part of New France and is named in honor of Claude Dablon, a 1600’s French explorer and Jesuit priest who was one of the first Europeans to arrive in Michigan while it was still part of New France. According to history, Dablon made wines out of wild grapes he found in the woods for sacrament and communion. 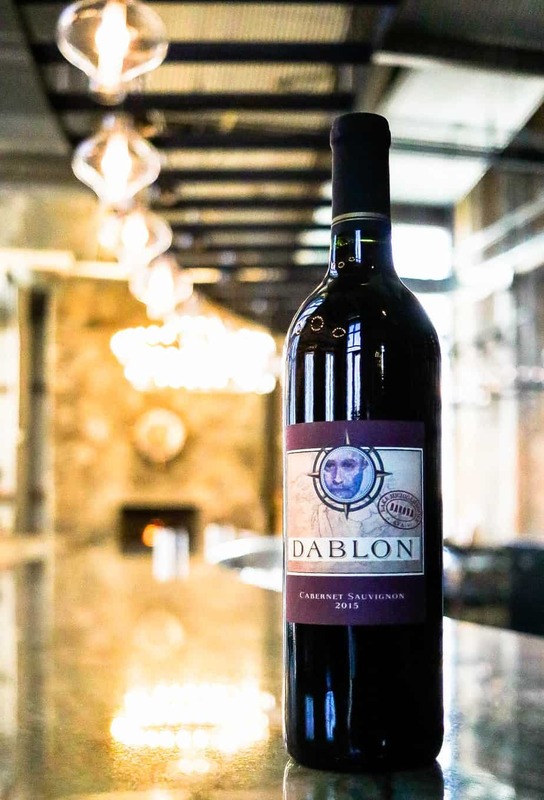 Dablon vineyard’s goal is to create exceptional wine by marrying European varietals with Southwest Michigan terroir. Specializing in dry reds and whites, Dablon is changing the perception of Michigan wine. Therefore, Forget the old way of thinking that the state only produces a sweet wine. The vineyard produces beautiful, quality, wines in the tradition of the French regions of Burgundy and Bordeaux France. Winemaker Rudy Schaffer states “ the belief that all Michigan wine is sweet wine is false; Michigan can grow many of the varietals that a warmer climate can grow due to the proximity to Lake Michigan.” The grapes grown on the estate include Chardonnay, Merlot, Cabernet Sauvignon, Pinot Noir, Malbec, and Syrah among others. Everything from spacing to shoot positioning is adopted, with positioning, grape harvesting, and sorting all done by hand. The process can be very labor intensive and expensive, however, the winemakers feel their methods ensure better quality and set them apart from their competitors. I can’t think of anything better than enjoying delicious wine with friends in lovely surroundings, can you? Be sure to add Dablon to your list of places to check out when you’re in Southwest Michigan! What a great weekend that was! It was so pretty there, even in winter. And the wine was really good. I definitely want to go again. Side note: I need to buy some new clothes cuz that top i have on keeps showing up in all my pictures. Hahahaha.